I have been back in Miami for about a month now. It has taken some time to settle in and get organized. This weekend was a nice welcome back to the city, a great way to become inspired, and get creativity flowing. 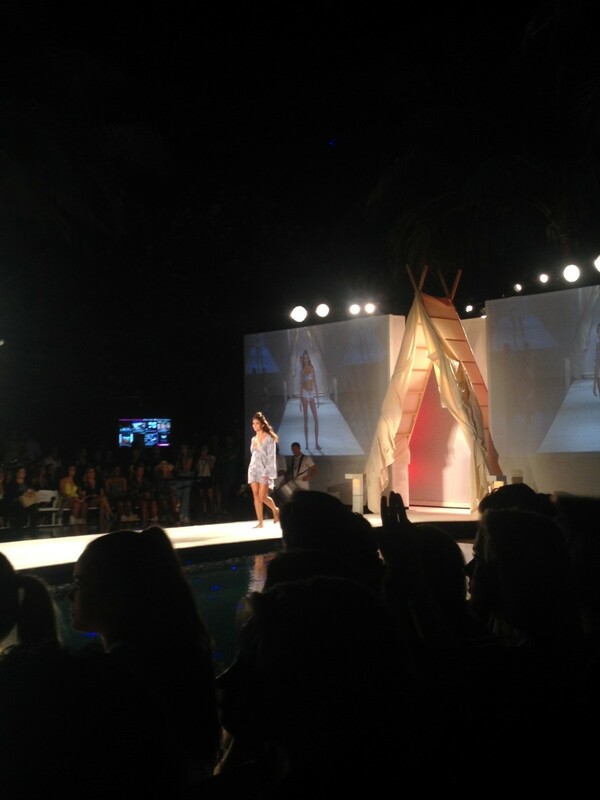 It was Swim Week in Miami and I had the privilege to attend two runway shows by incredible designers. I definitely left the shows rejuvenated and felt a push to get to work on my own projects, which I’m grateful for because it always takes some time after a big across seas move. 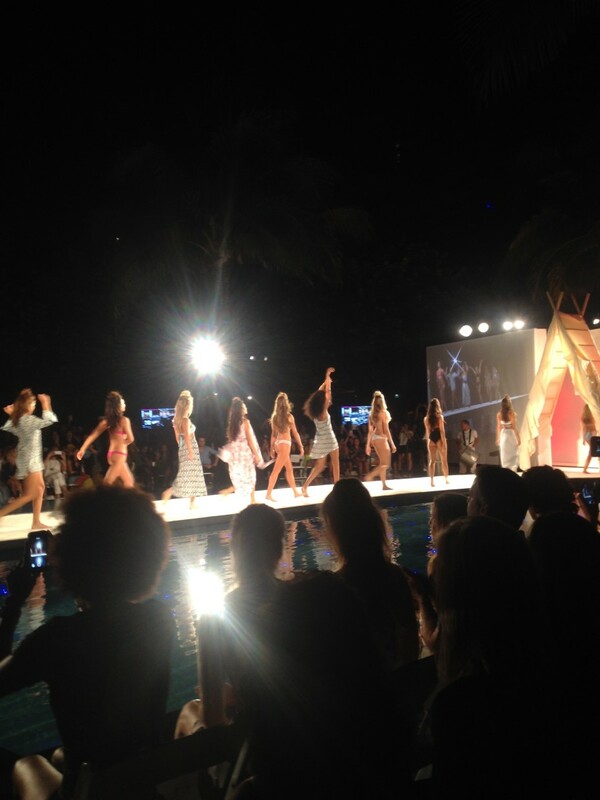 The first show I saw was Frankie’s Bikinis on Saturday at the W Hotel by 2o year old designer Frankie Aiello. The show was opened by a group of drummers. 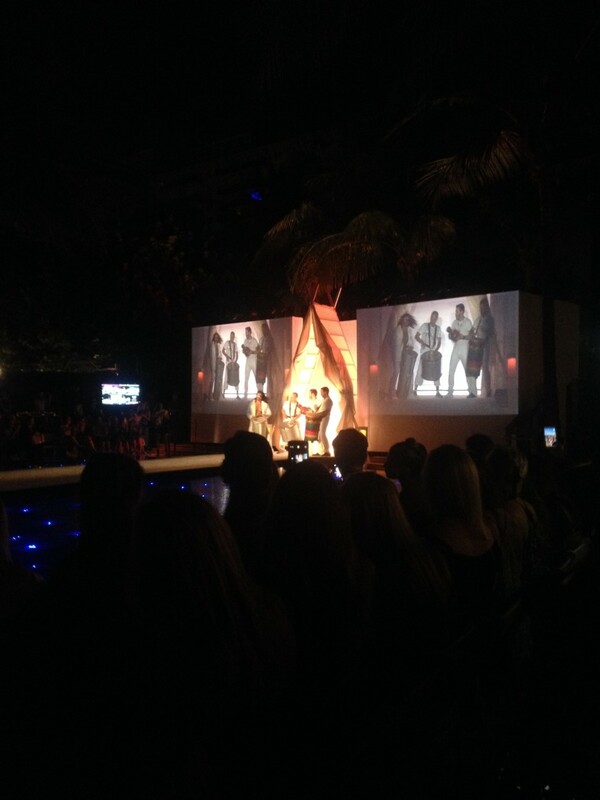 Frankie’s models walked out from under the teepee at the beginning of the runway. They were playful, interacting with each other as they passed, winking, and dancing in their floral print bathing suit covers and colorful bikinis, with hair done up in half buns and the rest waving down their backs. The show got the audience clapping and cheering, a great atmosphere to be part of. 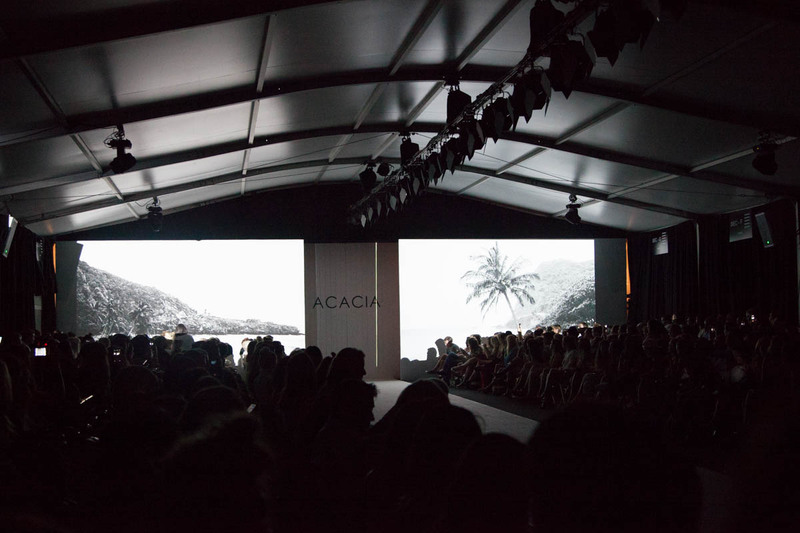 The second show was Acacia Swim Show at the Funkshion tent on Collin’s Avenue by Maui native Naomi Newirth, and Southern Californian native Lyndie Iron. The show opened (and closed) with a woman dancing in a long dress to traditional Hawaiian music. 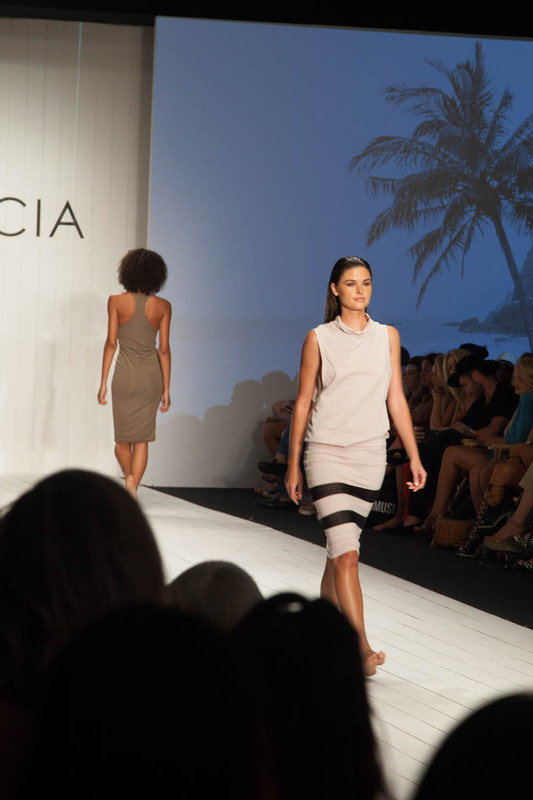 Acacia’s models strutted down the white wood board runway with their wet combed back hair, in tropical inspired prints on criss crossed bikinis. Two of my favorites looks from the show are the teal dress and the pastel pink cut out one piece. What are your favorites? Comment below! This was a great weekend for me full of art, fashion and friends. I hope you had a good weekend too and enjoy the photos!